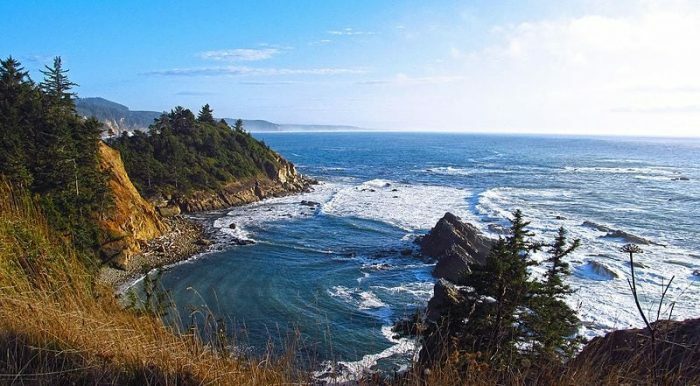 Take a glance at an Oregon coast map and you’ll notice just how incredible this Pacific coast is, from beautiful beaches to small and large cities, Oregon has everything you need for a beautiful vacation or weekend getaway. 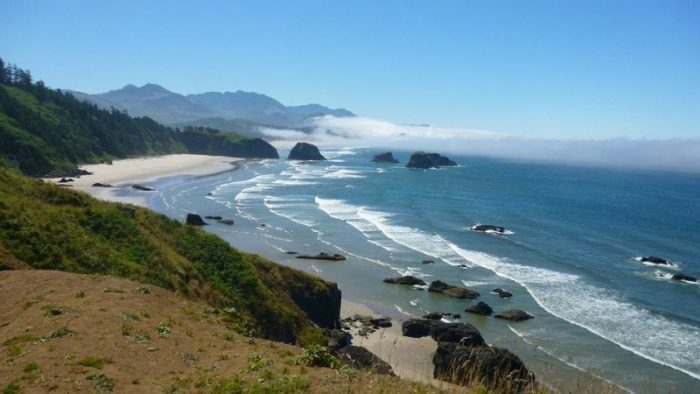 Oregon’s coast is home to many fascinating towns and beautiful beaches. If you’re planning on traveling through the region, you may want to learn some more about these places. What follows is a map of the Oregon coast along with some interesting facts about its beaches and cities. The combined Brookings/Harbor area only has a population of about 10,000 people, but the area is quite scenic and friendly. The Chetco River runs through the area, and most of the world’s lily bulbs are created in this area. 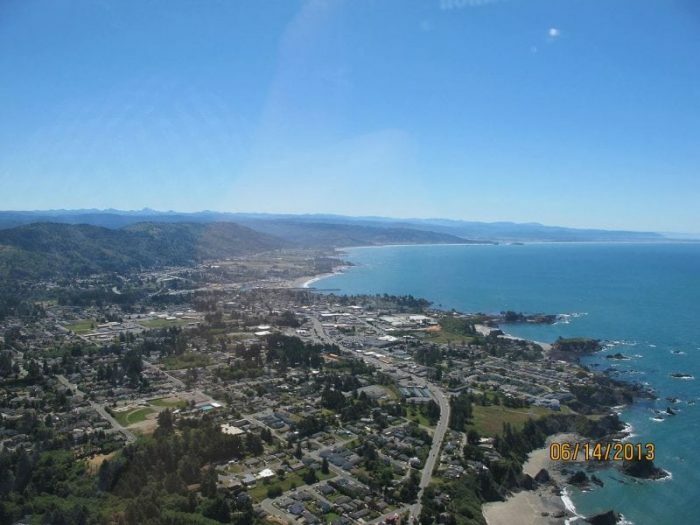 The Coos Bay area combines the cities of Coos Bay and North Bend and has a population of around 15,000 people. 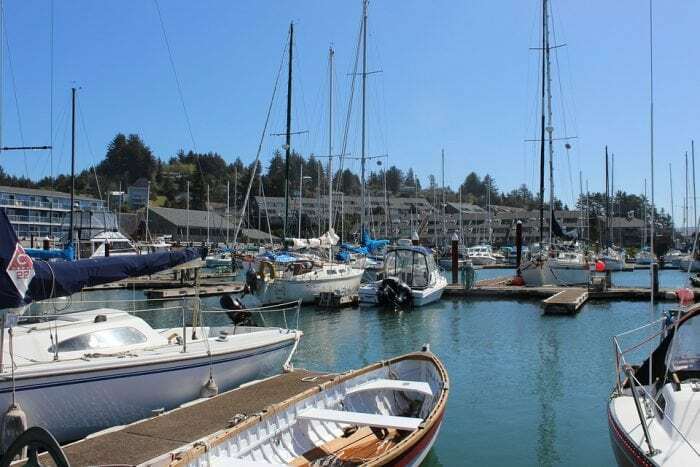 The Sunset Bay State Park is a much-loved hiking and camping spot and the town of Coos Bay has multiple art and historical museums worth investigating. Though not open to the public, a lighthouse can be seen 100 feet above the ocean and visible from an overlook near Sunset Bay campground. The city of Florence is about halfway up the Oregon coast, behind a series of large sand dunes found along the Siuslaw River. 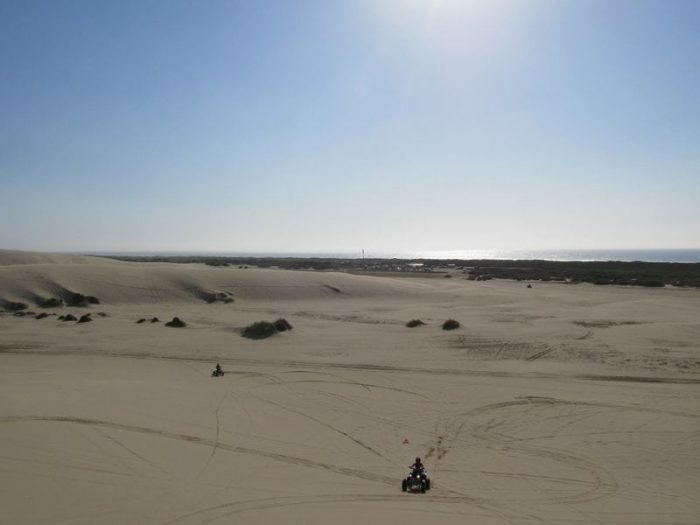 Because of the accessibility of the sand dunes, dune buggy tours are a popular tourist attraction in the region. The city has locally made saltwater taffy for sale, along with year-round camping. Of all the cities found on Oregon’s coast, Newport is probably the most well known. It’s a popular tourist destination, especially during the summer months when the weather is wonderful. Two lighthouses can be found in the Newport region, both of which offer public tours. Fishing for crabs and clams is a common activity here, as is hiking and camping in the Beverly Beach State Park or the Yaquina Bay State Recreation Site. The Oregon Coast Aquarium is a popular tourist destination. Located around 25 miles north of Newport, Lincoln City is a popular beachfront city with a population of approximately 7,000. The D River, the world’s shortest river, is located here. Kite flying, fishing, and hiking in the Devil’s Lake state park are all popular experiences here. Pacific City is located right along an ideal stretch of beach, making it a popular destination for surfers and fisherman. The Pelican Brewing Company offers up high quality brewed drinks which you can enjoy while visiting the picturesque beachfront. Tillamook has a population of only about 5,000, but it produces high-quality food. The local economy is based primarily on dairy products and cheese and ice cream are popular purchases in the city. 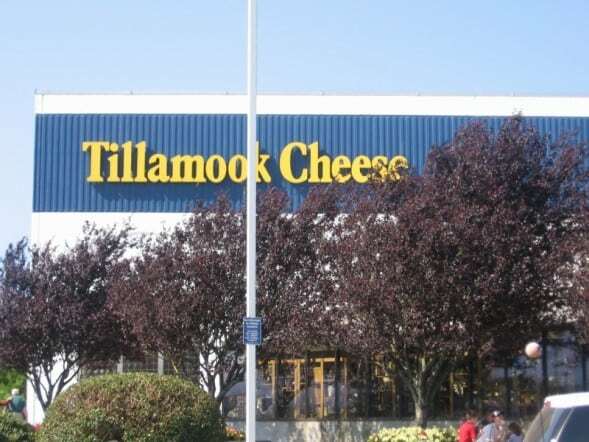 The Tillamook Cheese Factory offers a self-guided tour, along with an extensive gift shop. The Tillamook Air Museum is also worth checking out. Manzanita and the surrounding villages are located along seven miles of beautiful sandy beach. The easily accessible beaches make it a popular spot for photos, fishing, surfing, and paddle-boarding. You can also hike the nearby Nehalem Bay State Park. Wildlife like deer and elk are common sights here. 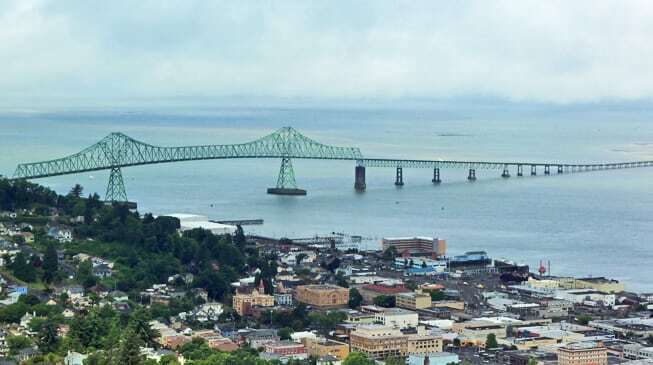 Astoria is located right on the border of Oregon and Washington with a population of around 9,500 people. The long Astoria-Megler bridge connects Astoria to the nearby city of Megler, Washington. Notable sites include the Columbia River Maritime Museum, the Astoria-Megler bridge observation deck, and the Cannery Pier hotel and spa. Astoria was featured as the setting of the movie The Goonies, and the former jail that appeared in the film is now the Oregon Film Museum. The Hug Point State Recreation Site sits relatively close to Portland, only 90 minutes away. The beach has long stretches of flat sand as well as high rock faces and hiking trails. During the fall the razor clamming season begins north of Hug Point at Arch Cape. Pacific City has a colossal sea stack off the coast, which reaches 327 feet high. 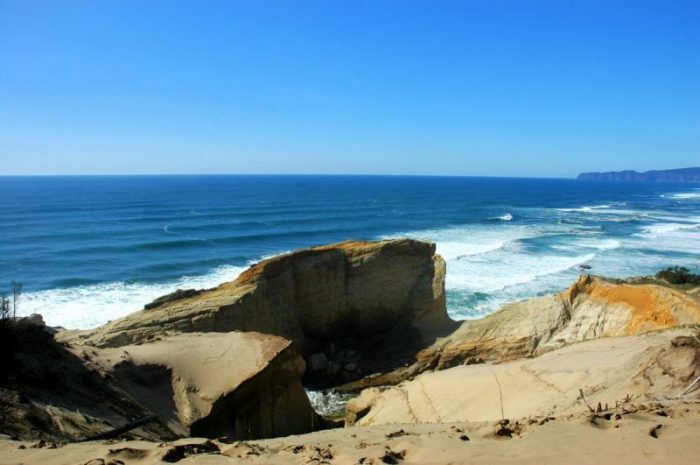 The sea stack can be seen from Cape Kiwanda’s State Area, a pleasant stretch of long sandy beach. Just south of the Cape Kiwanda beach area is the Neskowin Ghost Forest, the remains of Sitka spruces thousands of years old that were damaged by tsunami. 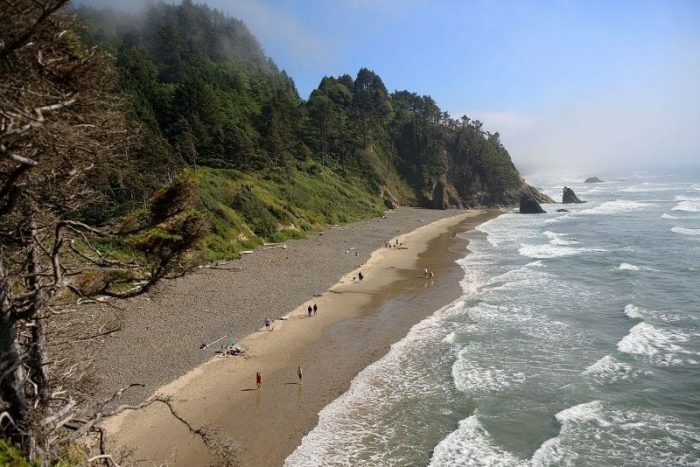 South Beach State Park is one of Oregon’s most famous beaches, known for its soft, gentle sand. The beach is in its current state because of a large jetty that has prevented silt from moving into the bay for over 100 years. The beach is a popular spot for hiking, flying kites, biking, bird watching, and camping. Large numbers of sea lions can often be found around Newport’s Historic Bayfront. This beach is the sight of a large remnant of volcanic action, the famous Elephant Rock. Elephant rock is surrounded by smaller sea stacks, and together they make up the Seal Rock State Recreation Site. The beachfront itself can be a little rough when compared to Oregon’s other (smoother) beaches but there are wonderful hiking trails that give wonderful views of the surrounding sea stacks, surfbirds, and harbor seals. This long stretch of dunes is said to have inspired Frank Herbert’s famous sci-fi series Dune. There’s a central observation deck and picnicking areas here, and the combined beachfront/dunes are popular areas for camping, fishing, horseback riding, canoeing and the use of off-road vehicles. The Sunset Bay region is marked with many beaches, most of which are accessible from a 25-mile long scenic route that splits off from Highway 101 near Coos Bay. Cape Arago has high vistas and wide beaches. Sea lions and the occasional gray whale in the distance can be seen here. The Floras Lake State Natural Area is accessed via a three-mile detour from Highway 101 near the city of Bandon. There are large sandstone cliffs that stretch for almost two miles between Floras Lake to the New River north of the lake. The Floras Lake Beach is a popular spot for windsurfing and bird watching.